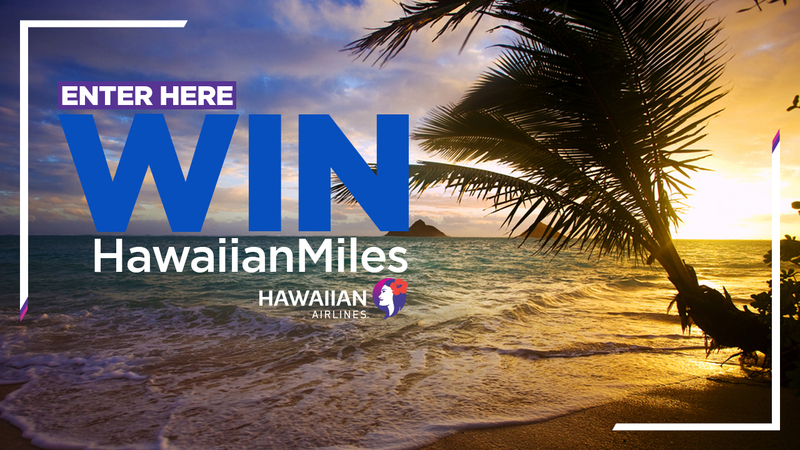 AN OUTSTANDING OCTOBER AWAITS...ENTER NOW FOR A CHANCE TO WIN 120,000 HAWAIIAN AIRLINE MILES! What makes a better Friday? How about a little "Aloha?" Share the island spirit with ABC7 and Hawaiian Airlines and enter for your chance to win a trip to Hawaii for two! An authentic Hawaiian hospitality experience awaits you...enter today! For more information please visit: https://www.facebook.com/HawaiianAirlines.